To keep up with tradition here's Roger Federer's outfit / clothing for the upcoming Australian Open which stars on January 14th. It's a bit different to his usual Australian Open outfits which have always been traditionally blue until he wore white/yellow in 2011 and then red in 2012. This one still takes the classic polo design that suits him best but it's a grey almost silvery/metallic looking one with a touch of pink on the zipped collar. Nike have again gone for a zipped collar which they used on his Olympics kit and I'm not a great fan of it, buttons are better! I'm not sure if the picture of the polo I'm using is the exact one he'll be wearing as there doesn't seem to be the typical RF emblem/logo that usually accompanies his outfits. If anything gets released over the next few days I'll update it accordingly. 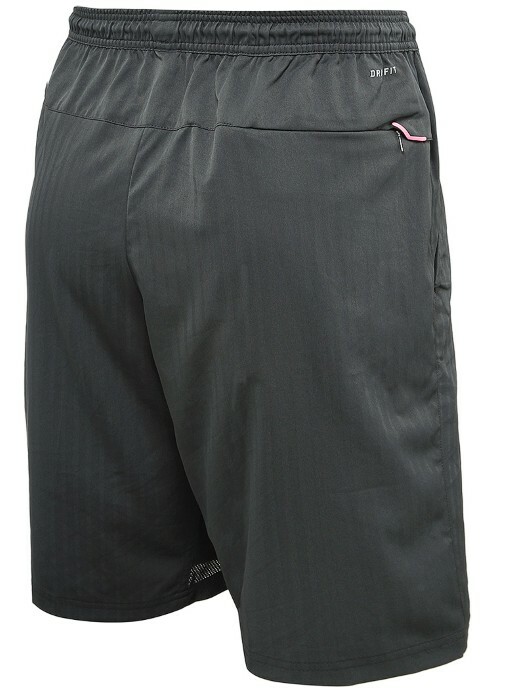 I'm also not convinced with the shorts as they're elasticated pull on ones and I much prefer button fastened rather than drawstring. 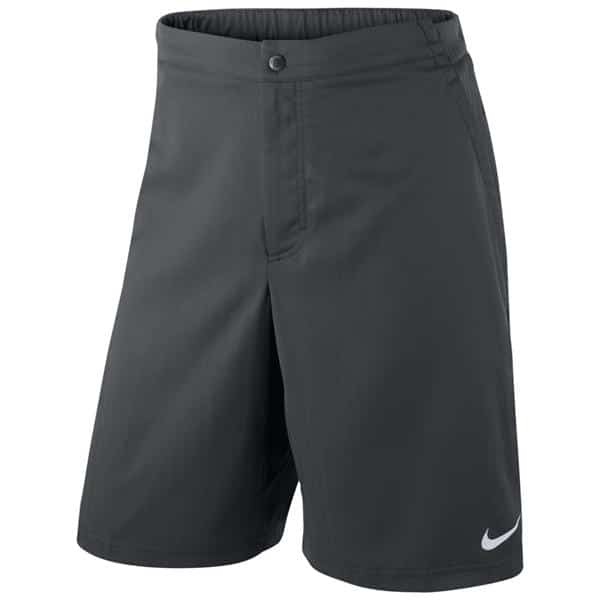 They're almost Murray like Benidorm Dad style shorts which isn't a good look so we'll see how it goes when he steps on court. Anyway we'll see what it looks like as part of the whole ensemble but overall I'm a little disappointed. Luckily Anna Wintour doesn't usually make the trip to Melbourne so Roger will escape her wrath if he doesn't look good. Update: I believe Roger has a choice of 4 coloured polos for the Australian Open, along with 4 pairs of Nike Vapors to choose from. Who knows what he will be wearing. I'll opt for Purple or Blue! What do you think of Federer's outfit for the Australian Open? Let me know in the comments below. It’s ok… Pretty boring. I saw Roger’s French open outfit… White shirt(no polo)… They should put Roger in colors! I don’t mind plain/pastel colours, I prefer understated to be honest. But just the design I’m not huge with this one. Shorts look rubbish! Not that happy. He does not do grey that well. That was his colour at the FO this year and he lost bad to Novak. He should wear bright colours, like red, purple or yellow or even green. I myself do not like Roger in pink. One good point though about his outfit is the cap. That looks good. I like blue, red and white. No need to go bold with the colours he does that with his forehand. Roger is blessed in that he can wear anything and look quite good. So I think he’ll be fine. If he wins the AO it’ll become iconic so let the tennis do the talking. Fingers crossed. Yeah good point! He’s in with a shout but will be a tough tournament I think. Yeah buttons so much more stylish. Luckily the outfit has no bearing on the level of tennis! Roger always has the best outfits! He’s not a young guy anymore, and I for one love when he wears colours like this; very class for a man his age. It’s a different look from his others, and I’m sure Federer will look as perfect as always! When has Federer’s clothes ever let us down before? There’s been a few not so good outfits! I’m not convinced by this one though but will wait till he’s got it on! Maybe Roger’s trying to make it up for Nadal’s absence? You know keep his rivals fans happy? 🙂 But I agree, Nadal has some of the most awful outfits. That guy used to wear sleeveless shirts and pirate pants at Wimbledon for crying out loud! LOL yeah that was a funny one at Wimbledon. Dressed like a tramp in 2008. Murray’s not much better either, Adidas throwing outfits together from the bits of fabric they have left on the floor. Shorts look too short to me and they are drawstring ones. 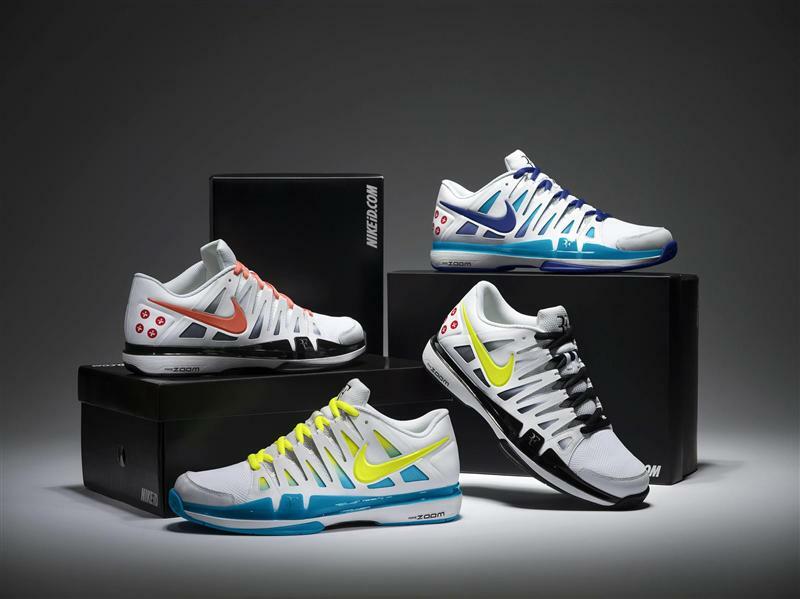 Shirt is okay, shoes a bit odd… The back of the shirt has the padded area with the holes just like his 2007 AO outfit. I like the past three A0 outfits, the baby blue on the 2010 outfit, his best A0 outfit and it looked amazing in both day and night matches, the 2011 yellow/white one polo was very classy, loved the yellow detailing and the dark shorts, and 2012 red polo was pretty sweet as well. Yeah in the Nike catalogue thing they’re described as drawstrings. Not good! I’ve got the 2010 one, one of my favourites of all time. Just a slick design and when he wins a slam in it what more can you ask for. Guess you’re the target market then! I think you gotta go with classic colours. Blue or Red and it’s always a winner. Basel and WTF this year awesome. 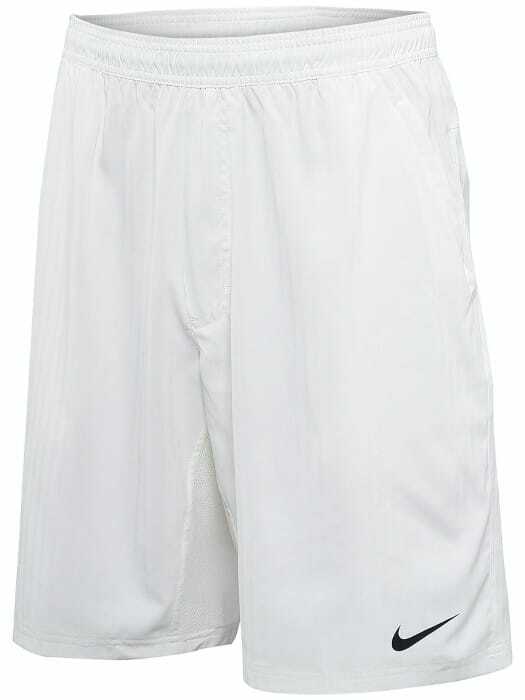 I think white shorts will look better. 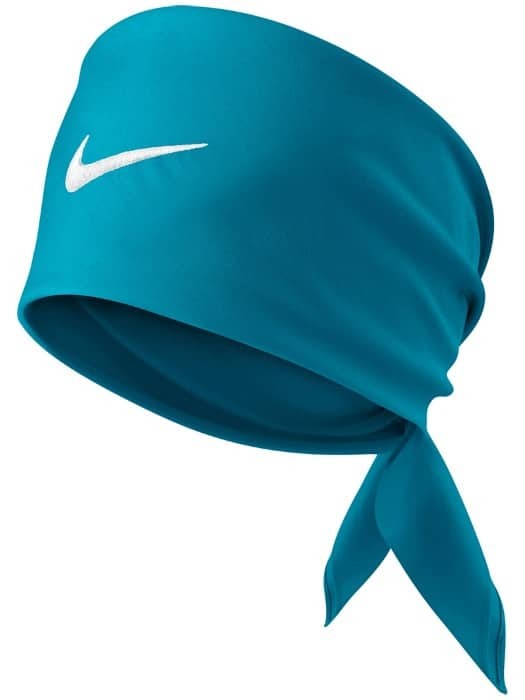 Combine it with the dark headband and the polo and the outfit will look nice. 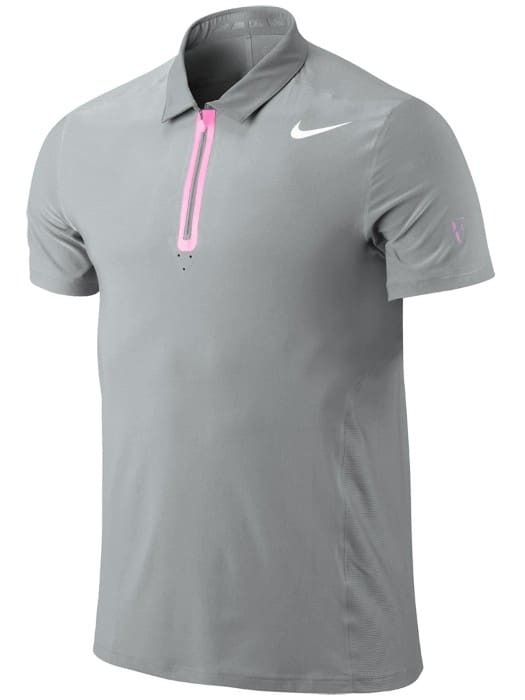 I actually quite like the polo now, nice combination of silver/grey and pink. Not sure white shorts with grey will work. Too much of a transition from one colour to the next, will look uncoordinated. But we’ll see! P.S. 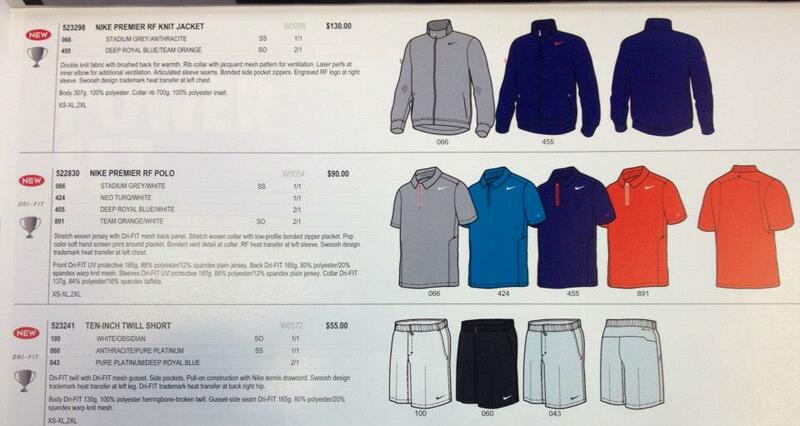 I doubt Nike is going to get any sales for that outfit. Not from me, no way! Fed’s pink outfit in Toronto and Cincy back in 2010 was nice. Nah I won’t be buying it eithe. Not bought one in a while actually might have a look around see what bargains are to be had! 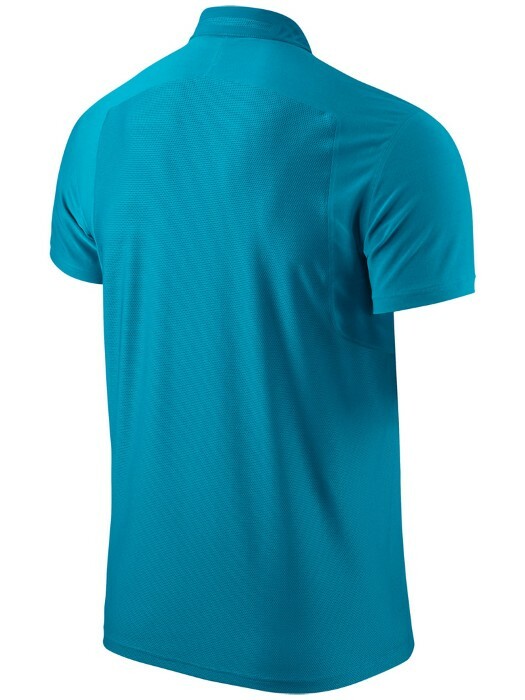 @Jonathan, I bought both the blue indoor hard court polo (very classy!) and also the one from the US Open. I really love the US Open polo but it brings bad memories of that Berd**** loss. Cool. I like the blue from Basel too. And the purple. US Open one was cool too, barring the black socks! Not so excited about the outfit. 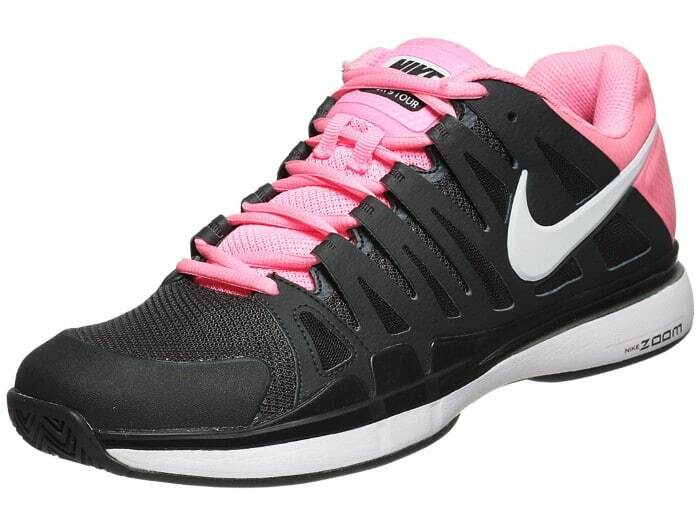 Actually grey goes well with pink, though the bright pink on the shoes is more for Williams sisters like Ana said. IDK…just the style, I mean the look somehow doesn’t have a wow factor, like the purple one for WTF. Maybe because of the black(?) or dark shorts? They look like school PE kit. 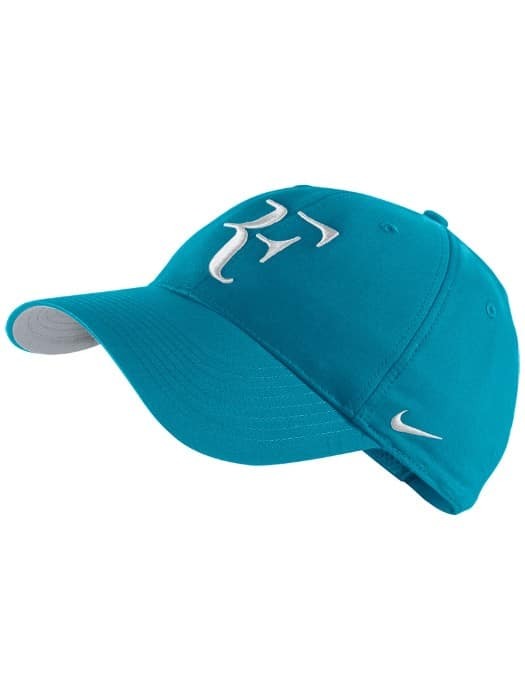 If the accent colour is pink, the cap’s RF should be pink like the bandana, I guess the blue is for the outfit after AO, right? We’ll see. Fed looks great in anything anyway. Can’t wait! Haha School PE Kit, that’s a very good comparison! I love so much Roger that he can wear anything and he can look great,waiting to see him!!! Haha ok so what if Nike put him in a dress for the French Open? lol. This might look alright when it’s on but the pics are just meh/average. 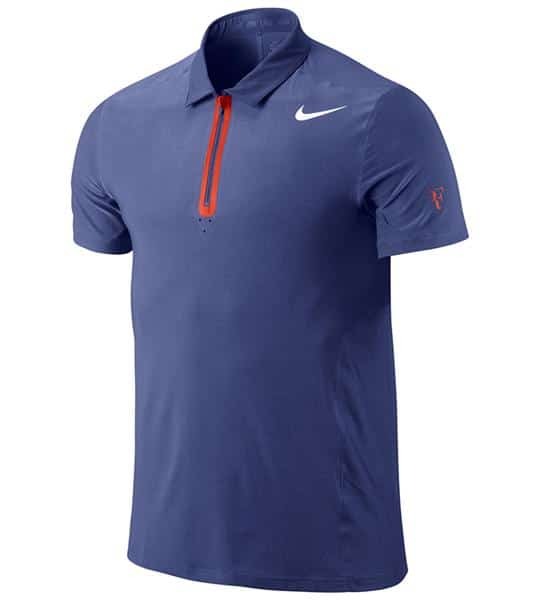 Considering Federer is the best dressed player on tour in my opinion, this is one of the worst designs made by Nike. Hopefully he’ll win his 18th GS title this AO ’13! Not too crazy about the pink either, but will see what it looks like on. Some of the other players outfits are just horrible. Addidas has some pretty bad designs. Isner’s shirts are way too short and WIDE. I’m sure he could afford something with a better fit. What about the ugliest shorts ever…Murray’s yellow outfit at the WTF. Barf! Yeah Adidas designs are terrible! Never seen them do a good tennis outfit. And for those Yellow shorts that were like swim shorts – shocking! It says draw string in the description. i just don’t understand why there isn’t any RF logos on the polo. That’s disgusting! Updated it with some new pics 🙂 RF logo included. I’ve updated the post with a new pic, fear not Pollux the RF logo is there! On the sleeve in pink. I may get it, if it brings good memories. I like the style, and the grey and pink looks nice. THERE IS A BLUE COLOR!!!! Rotterdam I think he will use that polo! Thanks for the find. 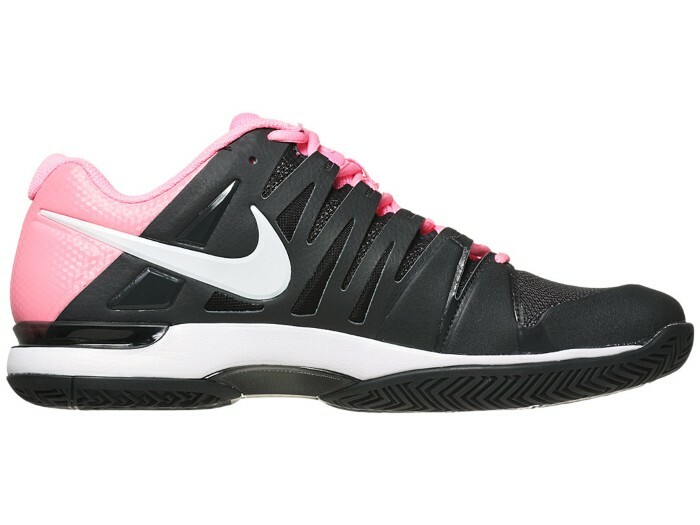 That colour reminds me of the cincy 2009 one, very similar. Wow, so many comments just about an outfit. But I must weigh in too! I don’t mind the grey although I prefer a brighter color. I don’t really like the pink and it’s way over done on the shoes. Hate the zipper collar (looks like that pink around it could peel right off). And the shorts look too short. I’ve always preferred the length he usually wears. At first, I couldn’t understand the turquoise on the hat but now that someone has pointed out an additional turquoise shirt it makes sense. And I actually would prefer turquoise trim rather than pink altogether. Overall I’m not thrilled with this outfit but am SO looking forward to the AO and I know Roger will look awesome in spite of it! Haha I know, clothes are almost as important as the sport itself huh! Yeah good spot on the pink looking like it could come off. I guess Roger doesn’t have to worry about how it handles in the wash seen as though he gets a new one each match! I’m looking forward to AO open, hoping for a good draw and a good tournament. Allez! One year Roger wore beige/tan tennis shorts, a blue shirt, white socks, and white shoes. That was the best. Yeah that was Australian Open 2008 I believe, his day time outfit. Looked pretty good! I really liked that one! The blue was identical to the court colour and even if it was a day outfit, it looked great in the epic five set match Roger played against Tipsarevic in the night! Not my idea but if I see that with the passage of time are increasingly trying to hide the logo of RF. A few years ago was great and embroidered logo on in a bright color, but combined, in jackets and polos. Over time they have become smaller, it began to settle in the arm and at the poles stopped being embroidered. Last year there where the logo embroidered jackets was the color of the jacket itself what you did sometimes invisible. Now the logo at the poles (at least in the models that have come out) are even smaller and also relegated to the pole sleeve, making it rarely seen, finally and most annoying that they have now placed the jacket RF on the wrist of a color hardly noticeable and this time not even embroidery. I’ve never been able to buy more than hats and now I can only think that’ll buy. Hmm I dunno if they are purposefully trying to hide it. Maybe just changing styles to keep it different. It’s always been small and either on the sleeve or just below the buttons on the collar. I agree about the the logo not being embroidered though on the jacket, that cheapens it I think! I’m not sure if these leaking pictures are legit. 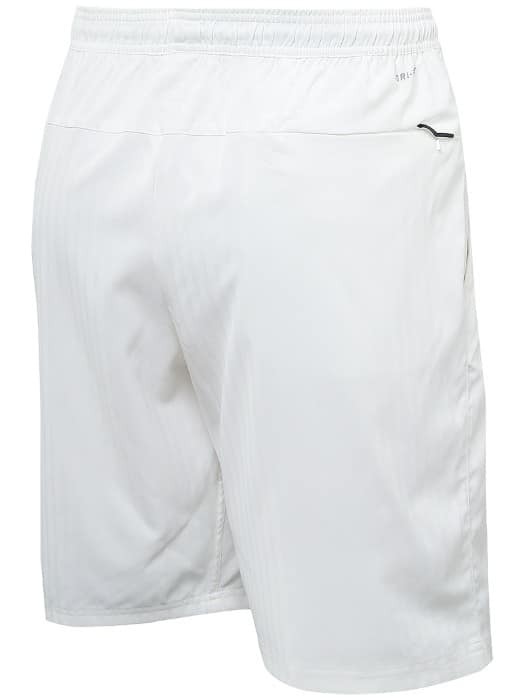 But if these are really the outfit for Fed this FO 2013, then I’ll have to wait until Wimbledon LOL. Not a fan of crewnecks, collars really adds something to the outfit. Yeah I saw those too, I think they will be correct, usually are. Not a big fan either! Collar for me too all the way! Yep I saw that. I updated the post with a few more pics. Wonder which he will play in? Me personally used to love what Roger was wearing at Wimbledon. Each year when they started off his RF clothing, the Tennis racquets on his trainers.Then i loved the white trousers and jacket they made for him, plus the cardigan which i thought was cool. Serena Williams tried to do it also but everybody kept panning her saying ‘The Mac was SOOO last year!! I think what the RF brand are trying to do is to appeal to more broad age group rather than just the young generation. Nadals clothes have also changed which i think they have used similar ideas of RF. They have i think stopped using his sleeveless tops which only teens like wearing. 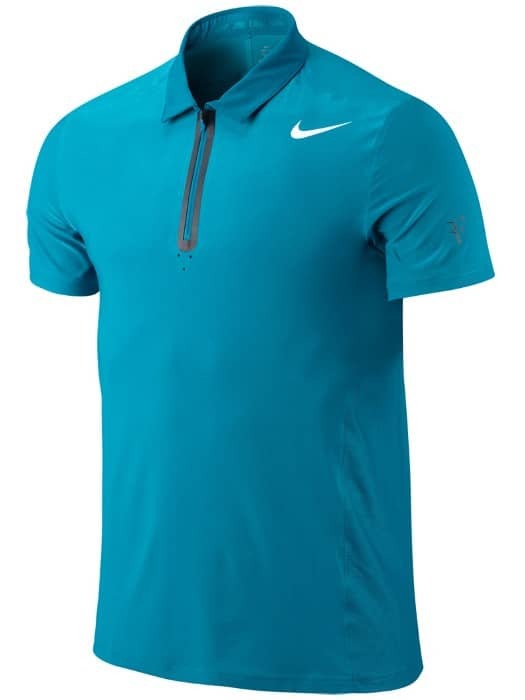 Just as an update if you will, it seems to me that our man Fed wore the blue outfit – the one supposedly for Rotterdam for the Kids Tennis Day festivities, so I’m assuming that’s what his actual on-court attire will be for the fortnight? As well, according to his Facebook fan page, he’s announced that he will be sporting the trainers with the blue swoosh as voted in by the fans? 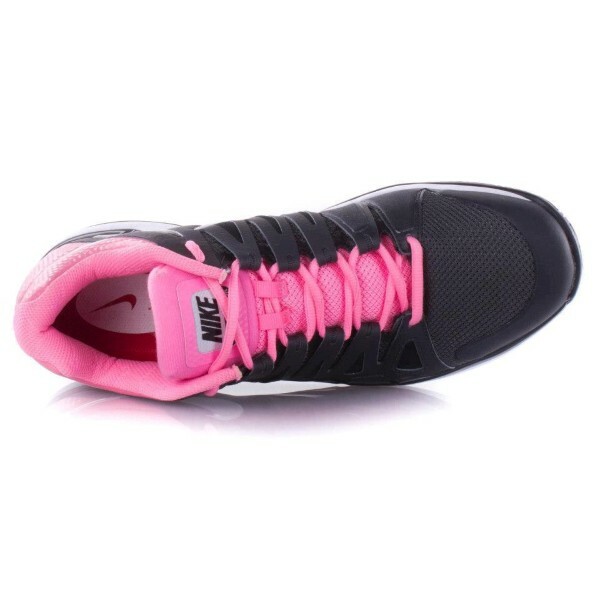 I love the pink and grey– it’s very sophisticated and suits him. Roger’s clothes are perfectly tailored, he wears them well and he always looks elegant. I hope Nike will make the kicks for women.